Jiffy Auto Repair offers full-service auto glass replacement and repair throughout the Denver, CO area. In addition to our auto glass services, Jiffy Auto Repair technicians are trained to replace window motors. A faulty power window isn’t just inconvenient in the drive-thru, it’s also a safety hazard. Our technicians have years of experience with window motors, regulators, tracks, switches and other components. Our team in Denver services vehicles of all makes and models, so come in for a free quote. If your vehicle is unable to come to us, we can come to you and fix it on-site. Because window motors, regulators and other components are in a sealed system, they’re difficult to repair. However, we can replace any faulty parts quickly and easily. Our skilled technicians are expertly trained to spot the problem whether the issues are the switch, motor, regulator, wiring or connections. If you experience any of the following issues with your vehicle, come into Jiffy Auto Glass in Denver, CO. 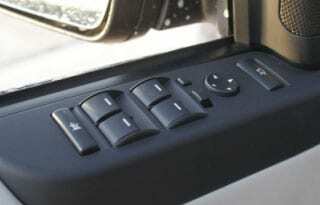 The window motors in most cars consist of reversible electric motors, powered by an electric switch inside the door. Because window motors and regulators are inside your vehicle’s door, it’s best to leave repairs like this to professionals. At Jiffy Auto Glass, our team is always thorough, no matter what repairs or replacements are needed. When it comes to window and motor regulator service, we identify the problem, remove the door panel, remove and replace faulty parts, check operation and reinstall your door panel. Call us today at (303) 876-0999 for a free quote today!